Warm a large pot over medium-high heat, add 1 teaspoon sesame oil and saute the onion, carrots and pepper. Cook until the onions are caramel colored, about 10-15 minutes. Add a little broth if it sticks and turn the heat down to medium-low. Then add the garlic and saute for one minute, adding a little drizzle of sesame oil. Do not burn. Add the greens to the pot along with 2-3 T of water. Cover and steam until the greens are wilted, about 10-15 minutes. Add up to 1 cup of water if you want "pot liquor" and cook an extra 5-10 minutes. Sop up with corn bread. Add toasted sesame oil to taste and serve. 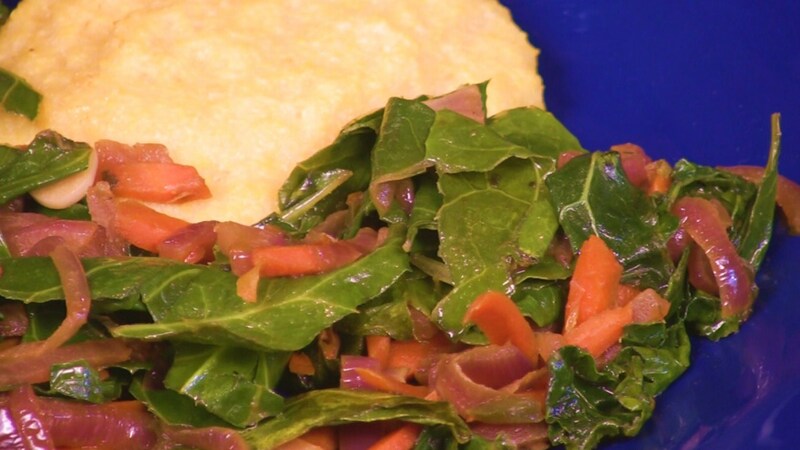 Serve over Basic Grits and Polenta for breakfast or Mexican Cornbread.